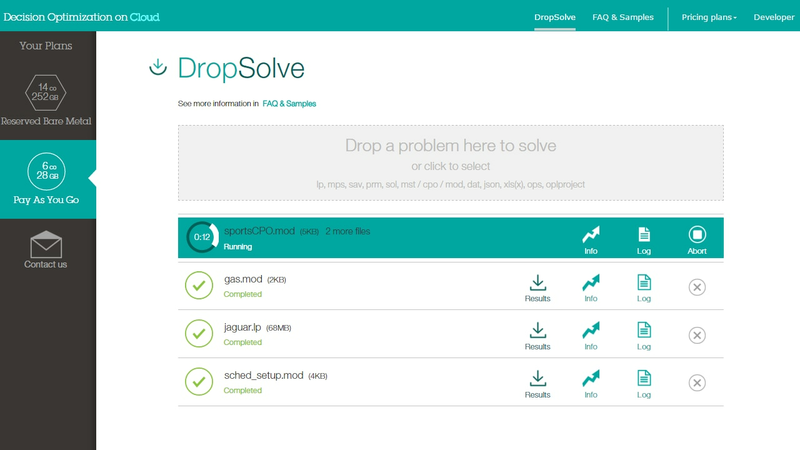 Explore ‘what-if’ decision making using the DropSolve interface. Read how IBM helps you use big data and prescriptive analytics in the cloud to optimize decision making. Explore how to solve decision challenges in an environment that uses advanced IBM CPLEX Optimizers. View tutorials on launching IBM CPLEX Studio, creating a project, entering an OPL model, creating run configurations & more.